Solara's Surf Reports Insightful & Amazingly Accurate! and then use the print function of your browser. 2017 was a deeply challenging year full of far reaching, seismic changes. There was a lot of upheaval, shocking events and tricky situations as the world of duality continued to collapse all around us. All year long, we were seared in the Fires of Transformation which affected us deeply on multiple levels. Many lost their homes and livelihoods through fires, hurricanes, earthquakes and floods and are now forced to begin anew. The tremendous pressure we’ve been experiencing has been transforming the coal of our beings into a diamonds. All year long, we could feel ourselves in the midst of two, very different, reality systems and increasingly realized that we cannot be part of both. We have to choose which reality system we are going to put our energy into and firmly anchor ourselves there. We have to align ourselves to what feels absolutely True. By the end of the year, many of us were on a new, vastly expanded level. It felt like we had completed a difficult cycle in which we were repeatedly tested and are now ready to recreate our lives to how they are truly meant to be. We are more stripped down and real than ever before. This feels extremely liberating. In 2017, we witnessed the most radical dismantling of old systems, structures, and beliefs that we could ever recall. Initially, overwhelming horror, shock and reaction arose, as everything we had known as ‘normal’ in this life was falling apart due to a natural, massive paradigm shift. Those of us who have made it through 2017, have not done so untouched. We have all been stretched and expanded beyond our imagination. As we learned to be our True Selves in the midst of chaos, we became Beacons of Trueness. Numerous beloved ones ~ friends, family and those whom we admired ~ made their departure from the planet. Many of us felt like we, ourselves, were dying all year. Some of us developed serious health challenges as warnings to change our stressful and unhealthy way of living so we wouldn’t develop more serious health problems. Our connections with some friends deepened as we realized our shared True Purpose. At the same time, new people entered our lives in 2017 who hold keys to our future. We learned to treasure the preciousness of life and nurture those who are dear to us. And our compassion expanded to embrace everything, everyone. Almost all the pieces are now in position on the board. It’s taken a long time to get them there. It’s taken humanity a long time to fully wake up. It’s no coincidence that ignorant and greedy ones are in positions of power at the same time that so many people are awakening. This is what is catalyzing us to awaken so quickly! The point on which a lever rests or is supported and on which it pivots. A thing which plays a central or essential role in an activity, event or situation. 2018 is a year in which everything is On the Line. It’s another Make or Break Year in which anything is possible. Everything is delicately balanced on the fulcrum and the lever could go either way. We can either manifest Heaven on Earth by openly living in the New Reality or we can choose to continue to feed duality and treat it like it is our predominant reality. If we continue to be influenced by duality, we will see our passage on this planet as an intensely challenging school of awakening. Or we may even experience Hell on Earth. We also have the option of graduating from the school of duality, saying “Enough is enough!” and choose to manifest a completely New Reality. It’s entirely up to us. Where we put our consciousness and our actions will determine what we experience this year. No matter what, we can no longer remain in a neutral position while passively sitting on the sidelines. We also can’t pretend that these are “normal” times and carry on with our usual activities. If we do this, then by default, we continue to feed the illusion of duality. We must be fully awake and ultra alert at all times. We must constantly discern what is real and what is false. We need to turn our focus to nourishing the Good, the True, the New in everything we do with an abundance of Love and Compassion. It’s time to pull out the final threads of our being from the Tapestry of Duality and reweave them into the Tapestry of Oneness. It’s not enough to merely survive these times; we now have to serve as the Tipping Point to flip over duality and birth a New World. Together, as One True Being, we sit on the Fulcrum ~ the place of power , the place of decision ~ as the lever that can switch us over to a New Reality. This is why we are here! To activate our lever, it’s necessary to fully step into our authenticity. To be REAL and TRUE in every moment. To remember Why We Are Here. To remember Where We Come From and Who We Really Are. To become authentic True Ones, everything, within and without us, must be thoroughly RESET into greater Trueness. We have to cut ourselves free from every rope that keeps us tied to duality, like setting a boat free from its moorings so it can sail into the vastness of the great ocean. Everything needs to be moved onto the frequency band of the New Reality of AN. And we have to WANT to do this and know how important it is to do it now! Some of the ropes that hook us to duality are obvious. We know that they are there, but we are attached to them and don’t want to let them go yet. They fill up the emptiness of our lives, providing superficial decorations to cover the lack of true meaning. Some of the signs of duality-based energies is that they have no staying power. There may be months of built up energy leading up to a certain holiday or sporting event, but when it’s over, it’s energetically gone. This is why it’s hard to listen to Christmas Carols after Christmas or why the huge build up to Valentine’s Day is suddenly over on the 15th of February and all those precious heart shaped boxes of candy are now 50% off. The artificial celebration of love and romance is over, rather than being a natural component of our lives that is with us all year. Other ropes are more subtle. Some are well hidden within our beings, while others are on open display on our altars. Our “spiritual” beliefs and practices!! (We don’t want to let go of these, even if the concept of “spiritual” as being separate from the “material” belongs to duality.) Maybe it’s time to take down those posters of the “Ascended Masters” and let them make their ascension. And then let’s take our appointed positions as the new Masters! Do we want to focus on the resurgence of the Goddess energy, rather than bringing ALL ~ men and women ~ into our One True Being? Yes, I know that the female energy has long been suppressed and oppressed and needs to return to balance with male energy. But do we do this by focusing on one half of the whole or by bypassing that step and bringing EVERYONE ~ everything into Oneness? The New Reality of AN is the Sun and Moon as One Being. They are no longer separate anymore, but perfectly balanced. Do we want to tenaciously hold onto our limited old dreams even though they came from duality? Or are we open to the fulfillment of our Wildest Dreams ~ those true dreams that we dare not speak of? Are we ready to live in a state of Right Time – Right Place, knowing that what truly belongs with us will come in its perfect timing? Can we effectively pull the lever on the fulcrum with our hands full of talismans, charm bracelets, credentials, snacks, crystals, duality-based roles, gold coins and self importance? The Solstice – Christmas season can be a magical time to gather with family and friends, to sing of “Angels bending near the Earth”, but do we really want to commercialize it? Do we want to propagate duality’s lame mythology full of cartoon characters like Santa Claus and the Easter Bunny? (Did you know that the original Santa Claus ~ Saint Nicholas who was born in Turkey in 270 AD has traditionally worn green clothing since the 3rd Century and that his clothes were changed to red as a marketing ploy by the Coca Cola company in 1931?) Do we really want to welcome the New Year by going to parties and getting drunk? Do we want to continue to support the greedy big corporations that poison our food, steal our water (like Nestlé), that make our smart phones and clothes in sweatshops in terrible conditions and support companies who don’t pay their workers a living wage? Or do we want to connect with our magnificent True Story ~ our ETERNAL STORY ~ the real mythology that is TIMELESS PURE TRUTH? Are we ready to do this? Because this is what is most needed at this time ~ to pull the lever that flips us over into a totally New Reality ~ Into a completely new paradigm. We are living in an extremely polarized world. The old reality system of duality is dying all around us and is increasingly desperate to maintain its control. 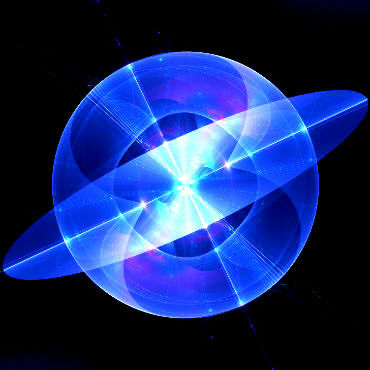 At the same time, a completely new reality system ~ the New Reality called AN is becoming ever stronger. The Demons of Duality are constantly trying to get our attention and pull us back in, but we have to remain strong, clear, loving and true. No matter what happens, we need to be integrous, grounded and steadfast. As human beings, we need to become ultra aware of the choices we make each and every day. Do our choices feed duality or strengthen the resonance of the New Reality? Are our living spaces aligned with duality or the New Reality? How do we spend our money ~ maintaining duality or nourishing the New Reality? Where do we put our energy and attention? What type of movies do we watch? What music do we listen to? What people do we spend time with? Are we part of the old paradigm or the New World that is being born? 2018 is the Year of Making Changes. And even though there is an endless list of what needs to be changed, both on this planet and in our individual lives, it’s important that we don’t become overwhelmed by the scope of what needs to be done. We have to keep going and we have to live in Trueness. We have to speak our truth through our actions. We have to stay grounded, while loving more than ever. It’s like cleaning up after a hurricane or fire, we have to keep removing the rubble, stone by stone. We are doing this for all of us and it is so, so needed. And as we do this, stone by stone, the Tipping Point might soon be reached and everything will flip over in an instant…. ANYTHING IS POSSIBLE! 2018 is the Year to LIVE our Mastery. We’ve spent lifetimes developing our mastery and now it’s time to put it into practice and apply our Mastery on a daily basis. An essential component of LIVING our Mastery is Mastering Service which is DOING WHAT IS NEEDED, WHEN IT IS NEEDED! This is far different from serving when we feel like it, when it’s convenient or only doing what we feel like doing. When we see the need for service, we can either leap into action or we find someone else who can do it. We don’t just walk by and lamely hope that someone else takes care of it. It’s time for us all to emerge as Masters of Service ~ serving one another, serving our community, serving humanity, serving our planet in any way we can. 2018 is the Year of Taking Responsibility. It’s time for us to take an active part in the decisions that are being made which affect us and the entire planet. We all have to rise up and do whatever we can to turn the tide and make this a better world. We have to take responsibility because our governments and corporations no longer serve the people. They no longer protect the environment. It’s time for us to demonstrate our Love and Compassion to all people, to the planet, to all species of living beings. Let’s apply our Mastery in everything we do, in order to create a true world and birth a New Reality. When a person, situation or even a country or planet is going through a challenging time, we often “Hold the Beam” for them. This means that we strengthen their direct alignment to Trueness by putting them directly under a ray of the ONE and stand with them as One True Being, embracing everyone with our Love. Holding the Beam is a great source of strength in troubled times. It’s an effective way we can all serve one another. Holding the Beam is standing centered and balanced within ourself. It’s being aligned with the responsibility of awareness, presence, attention, existence. No cords of attachment, worry or fear exist in this space. You are simply present, balanced, aware, neither leaning to the right nor the left. You are centered in your heart, emanating stability and strength. Your attention is focused in whatever direction your inner being directs it to. Holding the Beam in this way is a positive and creative force to aid others in staying in the Beam ~ in direct alignment with the ONE. Holding the Beam helps align the Earth and all humanity, all nature, towards living in tune with the heart, with awareness, respect, oneness and personal empowerment. Holding the Beam for others, or for the planet, is a powerful demonstration of our Trueness. We can do this whenever someone is going through any kind of crisis or whenever there are shocking events or natural disasters such as fires, hurricanes and earthquakes. It’s like the old prayer circles, only on a far vaster and much more powerful level. The effects of this are immediately felt because our One True Being is far more powerful than we presently realize. During these critical times, we need to constantly remember that we don’t have to go through it by ourself. Being aligned with our One True Being at all times is a key to our survival. We are all part of our One True Being and are not alone. It’s important that we call out to our One True Being whenever we need help or healing. This is especially true whenever there’s a health crisis, upheaval or natural disaster. When we come together as One True Being, we can move mountains, facilitate healing miracles, stop wars and bring far reaching changes to the planet. The way to successfully navigate through this tumultuous New Year is to expand our beings into the New Reality and to remain consciously interwoven with our One True Being. Then we live our mastery by serving humanity with our fullest LOVE and COMPASSION. AN (pronounced ON) is the first God of ancient Egypt ~ the Sun and Moon as One Being. The Great Pyramids represent the three stars in the Belt of Orion known in astronomy as Mintaka, Al Nilam & Al Nitak or as EL•AN•RA ~ their true names. The star in the central position is AN ~ a Black Hole / dimensional doorway to other multiverses. After the Kingdom of AN came to its appointed conclusion, the energy of AN disappeared from earthly history, save for the few Elders of AN ~ the Annutara ~ who remained and remembered…. Flash forward to January, 1992 and the first 11:11 Activation which created a bridge between duality and Oneness. Here, the seeds of AN ~ the New Reality that we were meant to birth upon the planet ~ were planted. These seeds of AN gestated within the twenty year cycle of 11:11 Activations that ended in 2012. And then it was time for AN to emerge…. 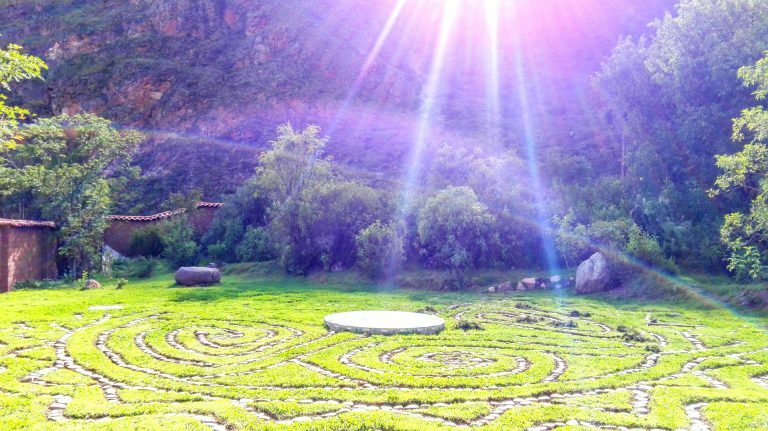 Knowing this is why, after a search of several years, Emanaku and I purchased very special land four years ago in the heart of the Sacred Valley of the Incas in Peru. 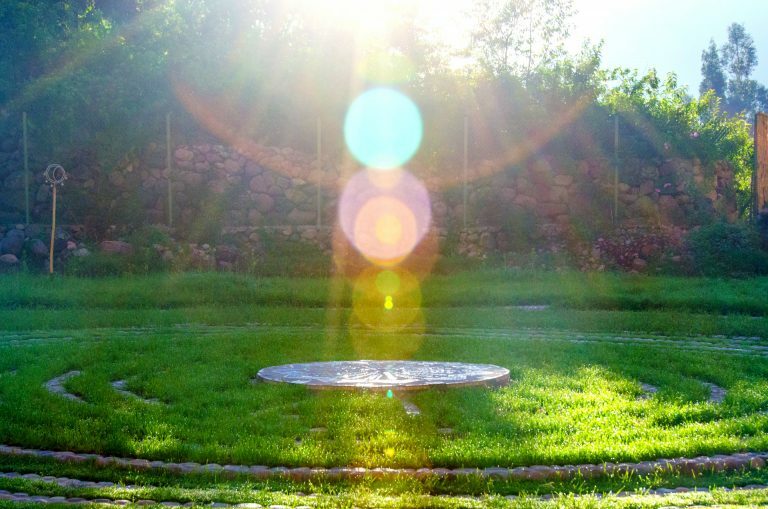 We knew that it was time to re-anchor the AN energies into the planet on a totally new level so the New Reality could manifest on the physical. After four years of much effort, the Heart of AN is ready. We have recreated the Tower of Light of AN which is now fully functional. It is constantly transmitting and receiving the energies of the New Reality of AN all over the planet. Even though I live in the midst of AN, it’s not easy for me to describe the energies of the New Reality of AN, simply because they are so new. All I can say is that there is an exquisite beauty to everything. AN feels deeply familiar because it resonates with the core essence of our beings. It’s like something that we’ve always known within us, but not encountered for a very long time. There’s a sense of deep comfort ~ the feeling of being in our True Home. There is immense LOVE. The energies of AN are active, highly creative and very colorful. Everything is imbued with a radiant magenta light. There’s a purity and lightness to it. AN is both powerful and very sweet at the same time. It’s like breathing new air with different components than the air we normally breathe. The air of AN has an enhanced freshness! If we choose to birth a New World by inhabiting the New Reality of AN, then the way we do this is to insert the New Reality into all aspects of our lives. It doesn’t matter where we are currently living or what we are doing. As we welcome the New Reality into our lives, everything will naturally transform. The hooks of duality will pop out of their old positions and we will become increasingly True and Real. 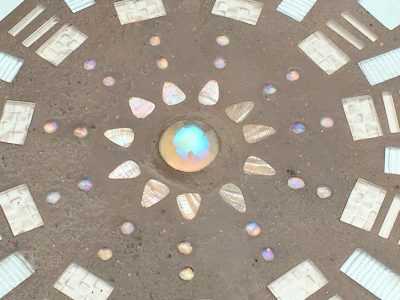 During the Activation of the Tower of Light of AN in May, 2017, the Timeless True Worlds unexpectedly inserted themselves into the Heart of AN. This didn’t happen during the Activation itself, but a few days before when we were split up into various work parties preparing for the Activation. When this happened, we realized that the Timeless True Worlds were finally returning on a completely new level. This is because they are an important component of the New Reality of AN. The Timeless True Worlds are where our Eternal True Self resides. They contain our original codes. Whenever we experience the Timeless True Worlds, it triggers our remembrance of other times ~ other places that are deeply familiar. Inhabiting the Timeless True Worlds is the Key for how to live in the New Reality on the physical Earth! In times past, the energies of the Timeless True Worlds were more visible. When we all lived in tribal societies, we were immersed into the Timeless True Worlds through ceremonies, sacred dances, vision quests, plant medicine and music. We wore our sacred clothes, and often a mask or head covering, which enabled us to step beyond being separate individuals. This connected us to something infinitely vaster than our own lives. We did this because it was an integral part of our tribal culture and was required to maintain the balance between the earthly and spirit worlds. 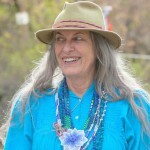 Even now, all over the world, this connection with the Timeless True Worlds is still being maintained by small groups of native and natural people. Since most of us have lost our tribal group, we are no longer a part of a traditional culture that takes us into the Timeless True Worlds. This means that we now have to create our own methods to enter them. And we have to enter the Timeless True Worlds on a completely new level. During this lifetime, many of us may have forgotten our connection to the Timeless True Worlds. Even though we may not consciously remember their existence, we have long felt the deep yearning to connect to something infinitely vaster and more real than the physical world around us ~ and nationalism and religion don’t do it for us anymore. A lot of things in today’s world prevent us from going into the Timeless True Worlds. Things like weather reports and apps keep us from developing a personal relationship with the weather. Instead, we rely on something outside of our own knowingness to tell us what is happening. Clocks prevent us from having a personal feeling of the flow of Time. Rigid schedules for work and school keep us from aligning with our natural rhythm. Set times for our required three meals a day keep us from listening to what our body wants. Many farmers now use apps to tell them when and where to plant and fertilize their fields, rather than listening to their farmland. Electronics such as computers, tablets and smart phones keep us from connecting with the Timeless True Worlds by distancing us from the HERE and NOW. The call of the Timeless True Worlds is what brings people to visit ancient, sacred sites. We hope to find something there ~ a missing element of ourselves that is not found in our everyday lives. This missing element is often triggered by immersing ourselves in places which connect us to the Timeless True Worlds. This is also why so many have the urge to find a shaman or to take plant medicine ~ hoping that they will receive something that will connect them to the Timeless True Worlds. Yet now, it is the time to find that reconnection within ourself, and not so much through outside sources. Many of us have had brief experiences of the Timeless True Worlds. When surfers, runners and artisans go “Into the Zone”, into the world of pure, abstract energy, they are entering the Timeless True Worlds. When the conditions are right, the Timeless True Worlds reveal themselves. They are all around us, all the time. It’s a SEEING of the UNSEEN ~ seeing more of what is really here all the time, on a much deeper, truer level ~ a level that is beyond Time or Space. It’s like there’s a thin membrane between us and the Timeless True Worlds that keeps us from seeing them. This membrane is actually an illusion created by duality. Once we sufficiently remove ourselves from duality, the membrane no longer exists and it’s easy to access the Timeless True Worlds. We can enter the Timeless True Worlds when we become one with nature or whenever we participate in true ceremonies ~ such as the 11:11 Activations, or perform sacred dances with our full being. Star language is a great tool for opening the door into the Timeless True Worlds, as are certain kinds of music which touch the depths of our beings. We can step inside the Timeless True Worlds while doing simple tasks such as chopping wood, fetching water, cleaning the house, sowing seeds, building stone paths ~ if we do it in a sacred manner with our full being. We can also access the Timeless True Worlds when we are in situations where life is on the line and the primordial elements are strong, such as in the midst of a dangerous storm. Whenever we are touched to the core essence of our beings or whenever we behave with the knowingness that EVERYTHING IS SACRED, we can enter the realm of the Timeless True Worlds. The Timeless True Worlds are not the New Reality, but they are an essential component of the New Reality of AN. They provide us an important entry point for living in AN. Once we are able to enter the Timeless True Worlds in our every day life, we can fully inhabit the New Reality of AN. Living in the frequency band of the Timeless True Worlds is our natural way of being. They are our eternal True Home. It is the place where we are timeless, ageless, healthy eternal and full of light. It is where true healing resides. This is where we can come together to sustain, heal and nurture ourselves and the entire planet. We can heal the world by singing to it and birth new worlds through sacred dances. The Timeless True Worlds connect us to our True Story, which is our Eternal Story, not just a small, distorted fragment of it. They align us with our Trueness. They erase the illusory gap of duality between the “physical” and the “spiritual” and move us into the knowingness that EVERYTHING IS SACRED and ALL IS ONE. 2018 is the Year of Shifting Worlds. In this year we all have the opportunity to move our lives out of the frequency band of duality onto an infinitely truer track. We are now being given an unprecedented opportunity to create True Lives in the New Reality. Some of us have already begun to do this. And all year long increasing numbers of people will step out of their old lives and limited beliefs and completely realign their lives to their true coordinates. Some will do this voluntarily, while others might be forced to do this through unforeseen circumstances. Once this happens, we will realize that it’s like catching a fresh, new wave which is much bigger than what we’re used to surfing. As soon as we start surfing the really big waves, we will realize that we were born for these huge waves! We finally feel alive! This brings us much excitement and fuels our creativity. We are given the gift of an Eleven Year ~ the Master Number of Anchoring the New Reality ~ to help us see with enhanced clarity and to propel us out of all that is untrue. This year will bring us a surge of courage and confidence which will enable us to finally take the needed steps to get out of those unfulfilling jobs we hate, to leave those expired relationships that have run their course and to move decisively into our True Direction. These actions set our lives on a track of greater Trueness and are deeply liberating. There’s a strong emphasis on health this year ~ our personal health, as well as the health of our planet. There is so much that needs healing! From our experiences in 2017, we have learned that we can no longer ignore our physical and emotional well being and we can no longer live in a constant state of stress, shock, reaction, grief, overwork and overload. We feel an urgency to bring positive changes to our life style by weeding out expired behaviors, while adding new, true elements. This emphasis on healing will bring us in touch with our untapped, true potential as healers. (We are all healers!) We will be now be able to utilize the energy of the Timeless True Worlds and AN to heal what needs to be healed as we birth wondrous new creations. We will also be repatterning our relationship to money this year. We need to step out of the struggle and lack aspects of money which have slowed us down and move onto a new level where financial support is flowing freely so we can find new, highly creative, ways to financially be supported. We have always had hidden bank accounts, although most of the time, we forgot they were there. These hidden bank accounts aren’t found in physical banks ~ they exist on a much vaster scale. And all along they are what have enabled us to do the things that we are truly meant to do, without any obvious means of doing so. This year, we will reconnect on a conscious level with our hidden bank accounts and finally step out of all the struggle connected with money. 2018 is the Year of the Unexpected. There are going to be many surprises this year. 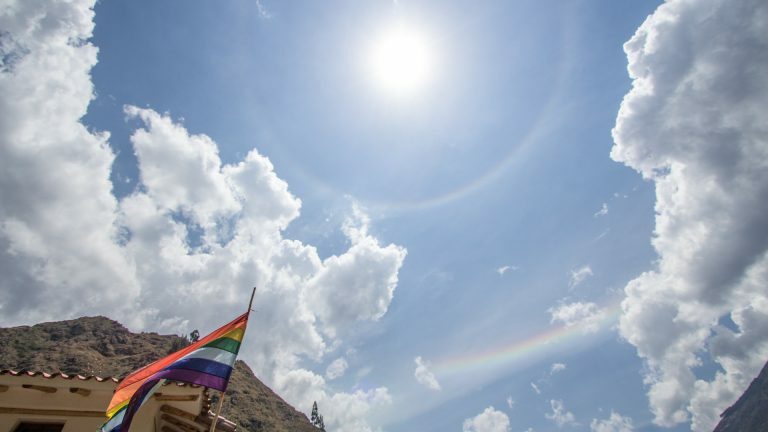 Numerous unexpected, and often shocking, events will send big ripples across the globe. 2018 is another deeply transformative year. 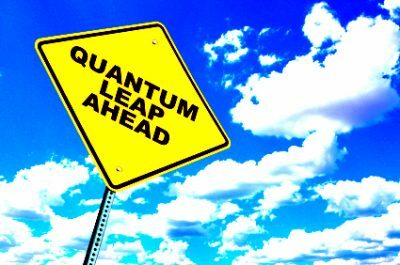 We are finally at a place where the Mega Quantum Breakthroughs can happen, both personal and collectively. This is a year that will require all our Integrity, Trueness and Mastery as we take full responsibility for the state of the planet through decisive action. We have to continually place our focus on strengthening the resonance of the New Reality, choosing LOVE instead of fear. Being a True One is something we have to do full time; it is not a position that we can only inhabit when we feel like it. To be True is to expand our beings beyond everything known, to make a complete surrender of our old duality-based lives as we know them and to embrace a totally new way of life with the participation of our complete being. Many of us enter the New Year feeling somewhat beaten down. The past few years have required great effort and there has been a lot of heart break. What we may not yet realize is that we’re like bread dough that is in the midst of rising. And rise we will…. The more we rise up as true, authentic beings, while assuming responsibility for the well being of all, the easier this year will become. We will start reaping the harvest from the seeds that we’ve sown through our hard work, from all the challenges that we’ve experienced over the past years. This is because we are finally aligning with our True Purpose. The Great Divide between duality and Oneness will become noticeably wider this year. But even if we are still woven into duality, we will occasionally feel the energies of the New Reality. We will see it manifested in the skies and we will feel fresh new energy which we cannot explain. If we are predominately anchored in the New Reality, we will still feel what is going on in duality. We will be aware of the anguish and suffering of the collective, even when we don’t live there anymore. Although we would love for there to be a mass awakening on the planet, we need to accept the fact that many people aren’t going to wake up, no matter what. They’re simply not ready. Also, there are many dear people who are partially awake, but they may not want to go through the temporary discomfort of fully unhooking themselves from duality. That’s just how it is. 2018 will be full of quantum breakthroughs and it will be full of terrible suffering. Anything can flip over when we least expect it. (Remember how quickly the Berlin Wall came down!) ALL THINGS ARE POSSIBLE. It’s important for us to remember this and not think that things are set in stone and unchangeable. The powers who have held sway during our long passage through duality are now becoming increasingly desperate. This is why they are taking such extreme and drastic measures. World governments are constantly creating duality-based events to manipulate us, then Pachamama (Mother Earth) steps in and rearranges everything. 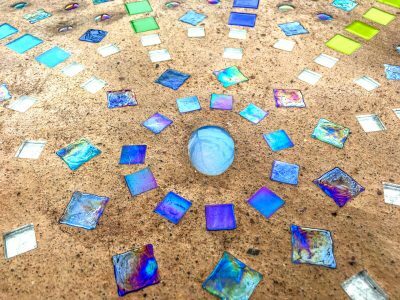 Pachamama is a major player in our shift over of reality systems and has a strong role to play in the collapse of duality and the birth of the New Reality. Earth changes will continue to accelerate as the natural world of Pachamama will strongly make her presence felt, shaking the foundations of the old order until they reach their breaking point. Strange and unnatural weather patterns, hurricanes, earthquakes, floods and fires will continue to shake our complacency, while urging us to develop a stronger relationship with nature. Let’s not allow any of these events to pull us off course. Let’s stay in our positions as alert and active Silent Watchers at all times, no matter what is happening. With the Great Awakening taking place, there will be many people who find the New very hard to handle. Some people might be so busy acting and reacting to the upheavals that all they will experience is chaos and the intensification of duality. While for others, this is a big sign to remove themselves from duality as quickly as possible. Many of us will be more steadfast and won’t fall as easily into reaction mode. Instead, we will move into our leadership positions, Holding the Beam of Love and Oneness as One True Being. What’s interesting is that as the resonance of the New Reality becomes increasingly stronger, we ~ the Awakened True Ones ~ are the only ones who will be able to handle these powerful new energies coming into the planet. As they steadily increase this year, we might find that many people will be flattened and knocked out of their positions of power, simply because they cannot handle the heightened energies of AN. This creates the space for the True Ones to step forward and take charge. 2018 will be a year of profound change and freedom. It’s a year of living our mastery through clear, decisive action. The incoming energies are not supporting the lazy ones, but bring wondrous possibilities for those who are willing to take responsibility and dare to live their mastery through action. The Key is found by translating our Heart’s Knowingness into decisive action. Our linear, mind level isn’t effective anymore. It’s like people sitting around and talking about changing things, but not doing anything. If we really start changing the world, and if many people on the planet did this, we could live in a totally new world. It doesn’t even need to be everyone doing this, just a critical mass. Yes, it’s the Final Days of Duality and it’s messy, scary, sad, chaotic and dangerous. But it’s also the New Beginning that we have worked so hard for lifetimes to achieve. The New Reality of AN is merging with everything that has true life. Let’s surf the massive wave that we were long trained for. And let’s do it with a big smile in our heart. Let’s focus on birthing a new, True World! 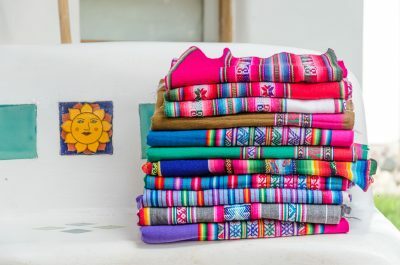 Solara’s work and The Heart of AN Center in Peru. SUBSCRIBE TO SOLARA’S SURF REPORTS! for 11 USD (with Updates) in English, German, Spanish and Russian. More information and prices will be published soon at anvisible.com/events! It’s time for the Heart of AN to expand to a new level. This will happen if our Family of AN now steps in to share the responsibility for the Heart of AN and our work here as caretakers of the New Reality of AN on a regular basis, such as a monthly donation or supporting some of our impending projects. This would be such a huge breakthrough for us and the Heart of AN! What we envision is a torus ring of support created by the Family of AN that encircles the Heart of AN. This will make the Heart of AN energetically stronger by having a wider base. And it will free us to do more of what we came here to do. Become part of the Circle of Support for the Heart of AN. COMING SOON: Wondrous New Treasures from all over the World! 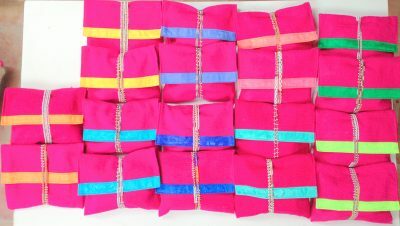 Special Peruvian treasures which resonate with the energy of the New Reality of AN. and all are aligned with the true AN energy. 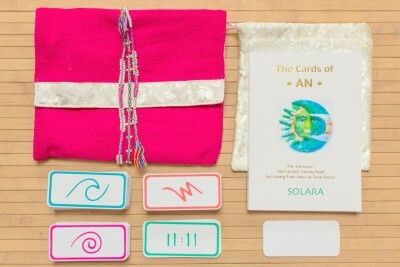 Solara's amazing Cards of AN! A magnificent, living, interactive tool to anchor the New Reality which are extremely effective. It's like having your own personalized Surf Report! which give readings of stunning accuracy on multiple levels. with a silk brocade lining and smaller bag for the cards. Available in several colors. PLEASE VISIT OUR EXCITING WEBSITES! Solara is one of the true Visionaries of our time. She facilitated the twenty-one year cycle of 11:11 Planetary Activations in which hundreds of thousands of people participated worldwide. She has traveled all over the planet giving talks, workshops and special ceremonies to activate the True Ones, so we can live True Lives. 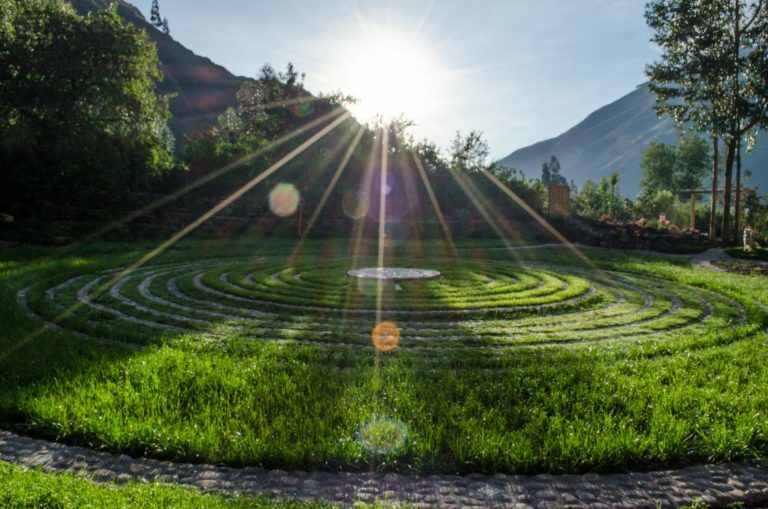 Solara lives at the Heart of AN Center in the Sacred Valley of Peru. She is the author of seven beloved metaphysical books: “The Star-Borne”, “11:11”, “The Legend of Altazar”, “EL•AN•RA – The Healing of Orion”, “How to Live Large on a Small Planet”, “Invoking Your Celestial Guardians” and the new “Cards of AN”.